“Me: Order, Order.Let us continue our discussion on how to stop terrorists, bombs and terrorists with bombs. 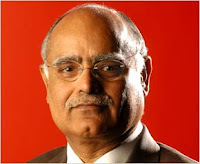 Prabhu Chawla, India Today: Let us do Seedhi Baat. I have heard that the Bombay Stock Exchange has formed a collaboration with the IIFT.Let us first and foremost break that collaboration. I don’t want to see models wearing bombs covering their um……ahem……areas, while walking on a ramp in the BSE all as part of some designer’s ‘Bomb Collection 2008-Haute Couture’. Terrorist organizations can easily send their own suicide bombers disguised as models wearing bombs. While we are admiring the intricate craftsmanship of the…..Bombs and how they perfectly eclipse the...areas, the bombers can easily set the bombs off destroying us and the Exchange in the process. 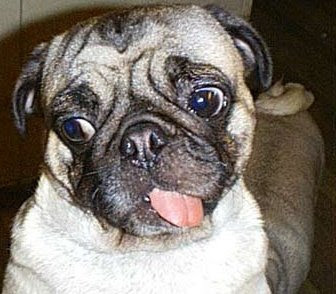 Hutchinson.D.Pug: And when they do you bloody fellows will call all my friends in the Bomb Squad’s Canine Unit. After the Ahmedabad/Bangalore blasts a cousin of mine called Chintu has developed high blood pressure after being overworked by the Mumbai Police smelling all the areas they came to know of via hoax calls. Luckily for me the hoax callers at least used Vodafone Mobile so I made some money. Look at poor Chintu’s photo. He and I in this beautiful world…..should be chasing little girls. Rohit Bal: I want to say that the wrong IIFT is being talked about,It's the Indian Institute Of Foreign Trade that the Sensex is collaborating with not the Indian Institute Of Fashion Technology.Moreover, I am creative. If I find inspiration in bombs there’s nothing I can do about it. My previous inspirations have seen my models wearing everything from Dustbin Lids to Jam Bottles to Toilet Seats. I can’t help it if I feel the need to cover Models with Bombs. 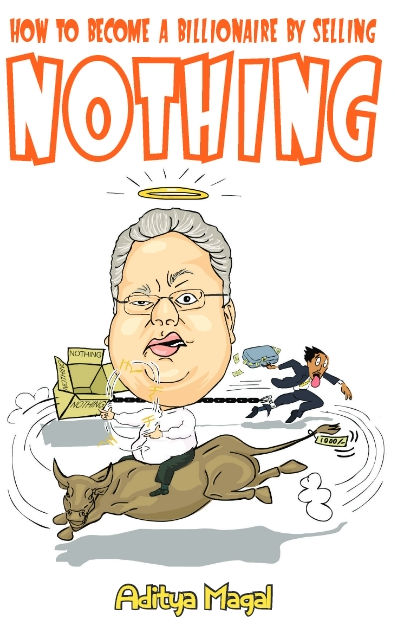 Ashwani Kumar: Don’t worry people. As the new chief of the CBI I promise to do everything I can to prevent further attacks. 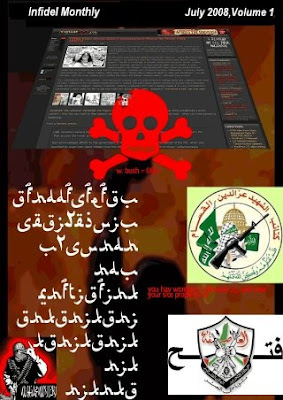 Like many companies on the Stock Exchange the terrorists also declared their quarterly results last week in their newsletter ‘Infidel Monthly’. There’s a sharp decline in sub continental bombings and top bosses are pissed that they screwed up the Surat bombings. Sushma Swaraj: Everything is a conspiracy on part of the UPA. The UPA also faked the Moon landing and were responsible for the Czechoslovakian Earthquake of 1234 AD and even the shock exit of India at last year’s World Cup. Kumar Mangalam Birla: I have spoken to the PM and he has conveyed our serious concerns to the Pakistani PM in the SAARC summit. He has also given the Pakistanis proof from the Americans. Kamal Nath: The only bloody reason the US agreed to share their proof was because they wanted the PM to never send me to negotiate at the WTO ever again. I went there with a 1 point agenda, to say ‘NO’ to everything. I even said ‘NO’ when the Trade Secretary wanted to go to the Loo. He controlled his ….area for 75 hours. Jayalalithaa: Call me Amma.I want to point out that this organization is anti feminist. The title should be changed to the All India Association of Rich Dogs and People. It will then be AIARDP and will rhyme with AIADMK. 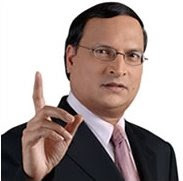 Rajat Sharma: India TV considered the blasts an important event on par with our brilliant coverage of how Jimmy the monkey stole a biscuit from a woman’s house. Jimmy was however proven innocent on my show ‘Janata Ki Adalat’. Please remember we invented ‘Breaking News’. On tonight’s show we profile the secret of Kalyanpur Zoo and Jimmy’s second stealing. Vijay Mallya: The terrorists at least did a decent job unlike my loser IPL team. I want to make a video now entitled ‘Royal Terrorists Ka Josh Hai’. Y.C Deveshwar, ITC: Can we at least focus on the topic? Govinda: Don’t talk like that; I’ve had enough of listening to Somnath Chatterjee talk like that in Parliament. That’s why I stopped attending Parliament in the first place. Anbumani Ramadoss: Bombs produce smoke which is injurious to health. There should be no bombing in public places. Kiran Mazumdar Shaw: So bombs can be placed in private places? L.K Advani: No, bombs should be placed only in Pokhran and for others there is POTA. 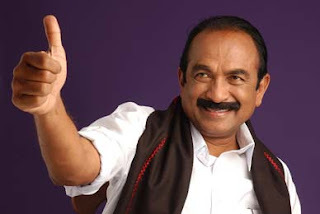 Vaiko: My party gave POTA the PODA. Indra Nooyi: And I drank a Pepsi with soda. Me: This Is Useless, Let’s just agree to maintain status quo. Rakhi Sawant: What does that mean? Arun Shourie: It means to do nothing which is exactly what I’ve been doing since the NDA went out of power. Me: Just like the IAEA we have arrived by consensus to do nothing. At least you guys pressed the right buttons unlike the Indian Parliament on trust vote days. Let us now watch a documentary. Kushal Pal Singh: Which one? Me: Lifestyles of the Rich and Famous.